There’s a story that I think I’ve shared before. If not, I’ll share it here. Before I started writing movie reviews, I would see a movie and people would ask me how I liked something. I would always say “I liked it a lot.” When I would tell my dad this, he would reply, “you like everything.” I guess I do like everything because there’s not a director or a producer out there who sets out to make a bad movie. They make the best movie they possibly can with the resources they have, which makes finding a “diamond in the rough,” a more difficult but enjoyable task. 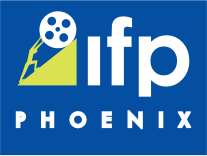 Then “Bernard & Huey” makes the 2018 Phoenix Film Festival line-up, and redefines “diamond in the rough”. It’s an absolute gem of a film. Bernard (Jim Rash) is a successful New York bachelor. His college buddy, Huey (David Koechner) is on the rocks and lands on Bernard’s doorstep. They haven’t seen each other in a number of years and much like Felix and Oscar, they learn they need each other far more than the other is willing to admit. Not before hilarity ensues. The story goes that Pulitzer and Academy award winning author Jules Feiffer had been commissioned to write a screenplay for Showtime. That screenplay ended up in a desk drawer until recently. The characters Peiffer created were based on a long-running comic strip that he writes for the Village Voice (New York) dating back to 1957. The beauty in Mirvish’s film is that he intersperses college aged Bernard and Huey with modern day Bernard and Huey. It was refreshing to see the younger versions of themselves to build up the modern drama. The humor is what makes the drama so strong, and Feiffer’s word is as witty and acerbic as I’ve heard in a long time. Bringing these comic strip characters to life is in the capable hands of Academy Award winner Jim Rash, whose stoicism and reserved charm are refreshing. David Koechner is big, bold and brash and it’s a nice counterplay for Rash. The supporting characters Mirvish surrounds our cast with are equally as acerbic. Zelda is in a relationship with Bernard and is also Huey’s estranged daughter. She is the lynchpin to our story. Mae Whitman does a superb job playing off of both Rash and Koechner. Mona is a recurring character in both timelines. As the older version of Mona, Nancy Travis seduces the screen and Bernard and Huey. In a post-screening Q & A, Mirvish mentioned how he was able to shoot the film, achieving the look that he did, and while that question was location – specific, Todd Antonio Somodevilla’s cinematography was striking for the mixture of film and digital; the transitions between the two were seamless and added an authenticity to the story and the film. This timely and timeless story really struck home. The strong characters, the comedy and the drama all work so expertly thanks to Dan Mirvish’s deft direction and a witty, brazen and acerbic script from Jules Feiffer, both are national treasures and their story is a true polished diamond.